Damaging winds and heavy rainfall for the Gold Coast and south-east Queensland are expected over the next several hours as severe thunderstorms develop. A line of developing showers and storms was located on radar from Millmerran-Warwick-Kyogle at about 12pm today. This line may intensify as it reaches the coastline due to increased moisture and instability. 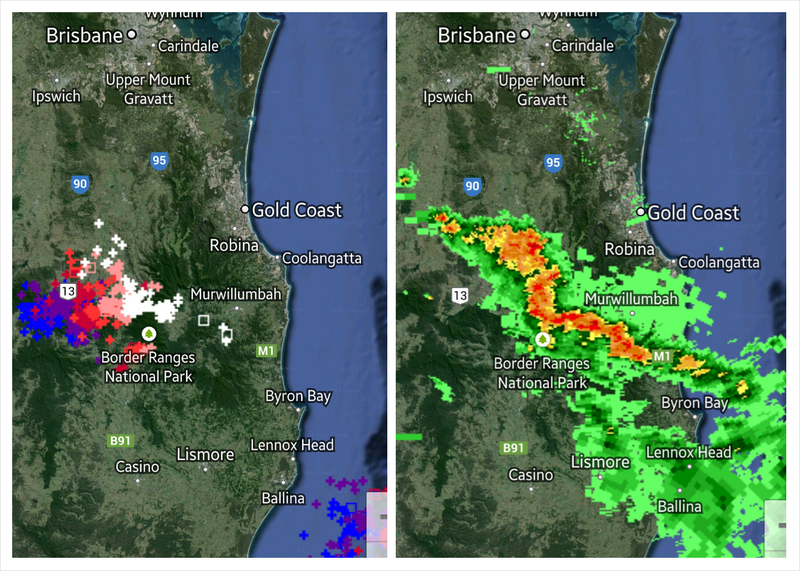 Storms in Northeast NSW have already been stronger than expected, and as such consider an increased risk of thunderstorm and severe thunderstorm activity in Southeast Queensland this afternoon. Pay particular attention to any large storm clusters that suddenly take a more northward move from the favoured E/NE trajectory as this would be a sign of severity. Check for the latest warning updates on our Twitter and Facebook pages.